In Fall 2017, I launched my first course, The Weekend Woodworker. When I created The Weekend Woodworker, I had one simple goal: to enable anyone to build beautiful projects without a large workshop, expensive tools or years of experience. Leo (with little prior experience) built impressive pieces for friends and family. Leo is a member of The Weekend Woodworker – my six-week online woodworking course that introduces complete beginners to woodworking, and is a chance to sharpen your skills if you’re not-so-new to the craft, all while actually completing beautifully finished projects. 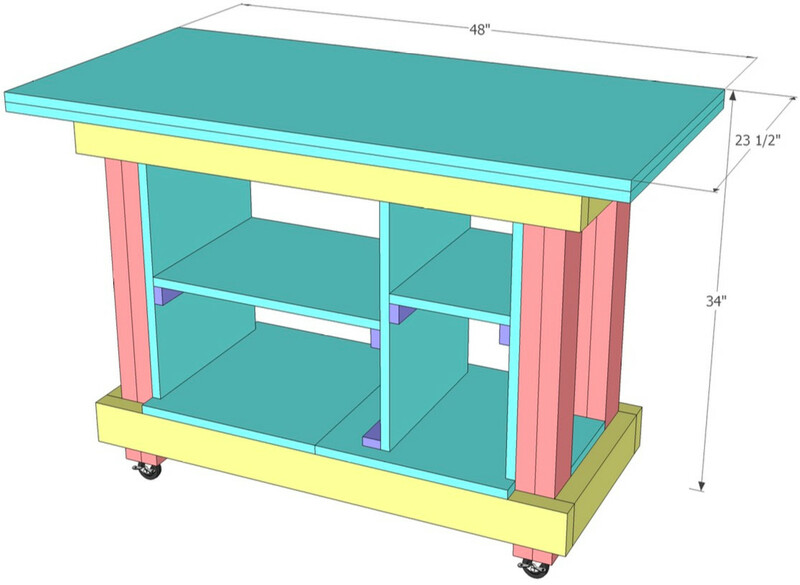 The first project in The Weekend Woodworker course is the Basic Mobile Workbench. It’s a fantastic first project if you’ve never built anything. Click the button to download the plans and get a sneak peek into the course. Find out how he felt after his first finished project. David is a member of The Weekend Woodworker – my six-week online woodworking course that introduces complete beginners to woodworking, and is a chance to sharpen your skills if you’re not-so-new to the craft, all while actually completing beautifully finished projects. Who built impressive projects in her basement. Sarah is a member of The Weekend Woodworker – my six-week online woodworking course that introduces complete beginners to woodworking, and is a chance to sharpen your skills if you’re not-so-new to the craft, all while actually completing beautifully finished projects. Who took the course with his daughter. Richie is a member of The Weekend Woodworker – my six-week online woodworking course that introduces complete beginners to woodworking, and is a chance to sharpen your skills if you’re not-so-new to the craft, all while actually completing beautifully finished projects. Learn how Dillion went from watching YouTube videos to building his first project. Dillon is a member of The Weekend Woodworker – my six-week online woodworking course that introduces complete beginners to woodworking, and is a chance to sharpen your skills if you’re not-so-new to the craft, all while actually completing beautifully finished projects. Who surprised himself with the awesome projects he built. Nick is a member of The Weekend Woodworker – my six-week online woodworking course that introduces complete beginners to woodworking, and is a chance to sharpen your skills if you’re not-so-new to the craft, all while actually completing beautifully finished projects. Ron is a member of The Weekend Woodworker – my six-week online woodworking course that introduces complete beginners to woodworking, and is a chance to sharpen your skills if you’re not-so-new to the craft, all while actually completing beautifully finished projects. Learn how his life philosophy made him a better woodworker. 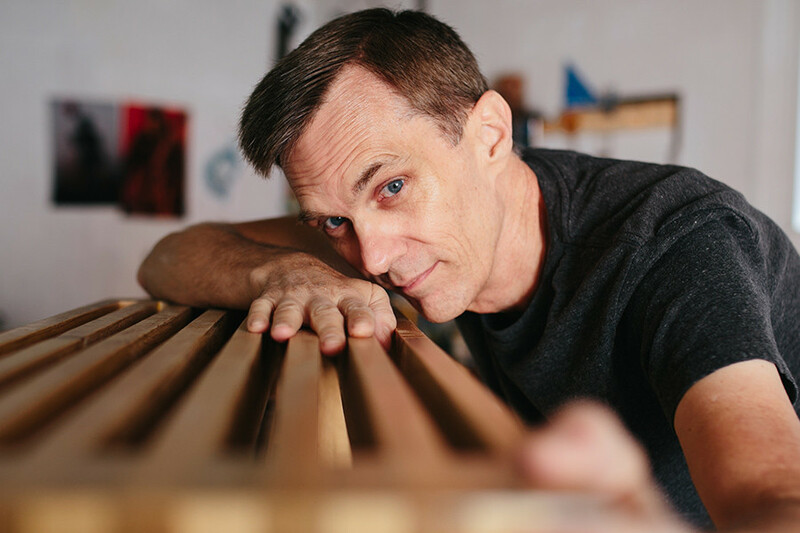 Matz is a member of The Weekend Woodworker – my six-week online woodworking course that introduces complete beginners to woodworking, and is a chance to sharpen your skills if you’re not-so-new to the craft, all while actually completing beautifully finished projects. A navy veteran who honed his skills after decades of woodworking. William is a member of The Weekend Woodworker – my six-week online woodworking course that introduces complete beginners to woodworking, and is a chance to sharpen your skills if you’re not-so-new to the craft, all while actually completing beautifully finished projects. Who finally learned how to finish projects. Rob is a member of The Weekend Woodworker – my six-week online woodworking course that introduces complete beginners to woodworking, and is a chance to sharpen your skills if you’re not-so-new to the craft, all while actually completing beautifully finished projects. Who honored his father’s legacy and finally learned woodworking. Vincent is a member of The Weekend Woodworker – my six-week online woodworking course that introduces complete beginners to woodworking, and is a chance to sharpen your skills if you’re not-so-new to the craft, all while actually completing beautifully finished projects. Find out what he built for his mother. Gary is a member of The Weekend Woodworker – my six-week online woodworking course that introduces complete beginners to woodworking, and is a chance to sharpen your skills if you’re not-so-new to the craft, all while actually completing beautifully finished projects. See his coffee table with ‘Kool-Aid Finish’. Keaton is a member of The Weekend Woodworker – my six-week online woodworking course that introduces complete beginners to woodworking, and is a chance to sharpen your skills if you’re not-so-new to the craft, all while actually completing beautifully finished projects. Shazan is a member of The Weekend Woodworker – my six-week online woodworking course that introduces complete beginners to woodworking, and is a chance to sharpen your skills if you’re not-so-new to the craft, all while actually completing beautifully finished projects. Who built impressive projects with little space. Tom is a member of The Weekend Woodworker – my six-week online woodworking course that introduces complete beginners to woodworking, and is a chance to sharpen your skills if you’re not-so-new to the craft, all while actually completing beautifully finished projects. Who was a little fed up with local shop classes. Diana is a member of The Weekend Woodworker – my six-week online woodworking course that introduces complete beginners to woodworking, and is a chance to sharpen your skills if you’re not-so-new to the craft, all while actually completing beautifully finished projects. Who finally heard the words "Did you really build that yourself?" Daniel is a member of The Weekend Woodworker – my six-week online woodworking course that introduces complete beginners to woodworking, and is a chance to sharpen your skills if you’re not-so-new to the craft, all while actually completing beautifully finished projects. Daniel finally heard the words "Did you really build that yourself?" Who built something very unique for her parents. Becky is a member of The Weekend Woodworker – my six-week online woodworking course that introduces complete beginners to woodworking, and is a chance to sharpen your skills if you’re not-so-new to the craft, all while actually completing beautifully finished projects. At 66, he picked up his first hammer. Michael is a member of The Weekend Woodworker – my six-week online woodworking course that introduces complete beginners to woodworking, and is a chance to sharpen your skills if you’re not-so-new to the craft, all while actually completing beautifully finished projects. Joe built one of the coolest coffee tables I’ve seen. Joe is a member of The Weekend Woodworker – my six-week online woodworking course that introduces complete beginners to woodworking, and is a chance to sharpen your skills if you’re not-so-new to the craft, all while actually completing beautifully finished projects.